I'm using a primer since the day I know it exists, which is not very long :') Since I had no experience with a primer I started with budget brands like Essence and Catrice. After using those brands I still didn't knew what's the point of a primer. The first one from Essence got a really weird smell after a couple weeks and it dried up before I could smear it on my face. The second one from Catrice was better but still I couldn't see a noticeable difference. I decided to give it another try with another primer and did some research before. 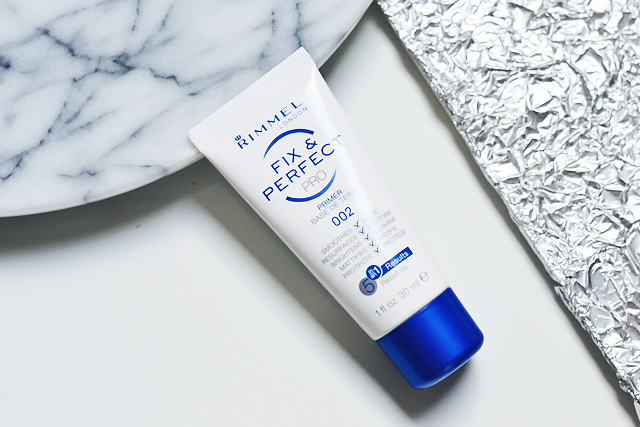 I came across many primers like the Porefessional from Benefit and the famous primers from Smashbox but the opinions were divided and I didn't want to spent a lot of money on another primer I don't like. 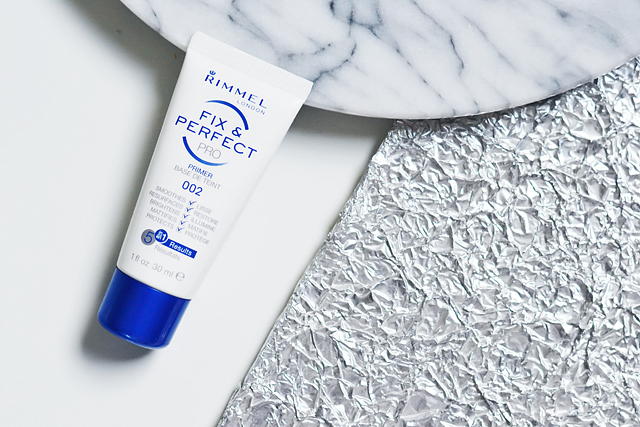 I decided to go for the Rimmel Fix & Perfect primer. I couldn't find many reviews about this one but if I found one, it was very positive! It's not a budget primer but still not expensive at all. 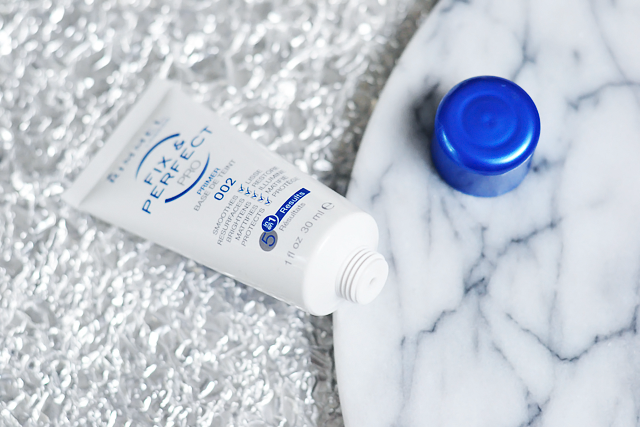 It's a 5 in 1 product and promises: smoothening - surfacing - brightening - mattifying - protection.